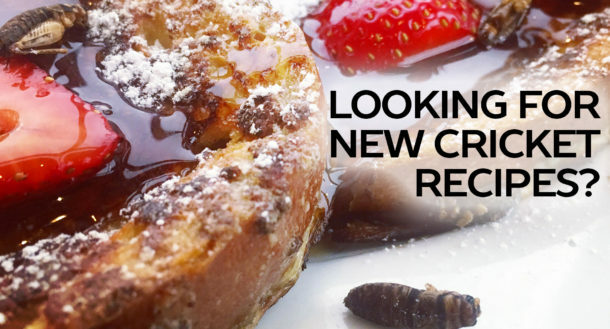 Cricket Flours and Wayback Burgers are excited to announce our new collaboration that combines the notes of coffee flavor and the crunch of Oreo crumbles with a boost of our Peruvian Chocolate Cricket Flour. 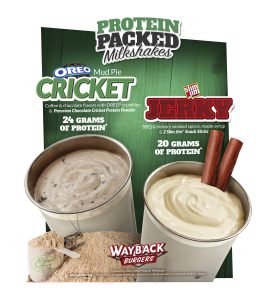 Check out the Wayback Burgers locations below to try some cricket flour today with the new Oreo Mud Pie milkshake with cricket protein powder! The delicious protein revolution of the future continues at a Wayback Burgers near you July 1, 2015 and we look forward to seeing you there. Check out the nearest Wayback Burgers location to try one today! Cricket Flour is a great way to to incorporate more protein and added nutrients such as calcium, iron, B12, B6, Omega-3s, Omega-6s, and BCAAs. Because our cricket flour naturally has a neutral and even slightly nutty taste profile, it works great with new products such as this new Cricket Flour Milkshake!